How Videos and Languages Connect? We have been working with the Languages Connect team for the last few months to produce a great series of videos on the importance of languages. Created by frequent collaborator The Post Primary Languages Initiative, the Languages Connect project is a great awareness enterprise. They explore how learning a language can transform lives. We created a series of short documentaries featuring many fascinating professionals. They came from all different careers (such as Hugh Cooney, Sean Carolan, Megan McEvoy, Fiona Uyema and Ian McKinley), including dancers, engineers, lecturers and entrepreneurs who all have one skill in common, the ability to speak more than one language and do so in their line of work. These videos will be rolled out in secondary schools across Ireland to encourage young people to choose a language when planning their career path. We got to see first hand how languages have taken people from their school desks to the rugby pitch, the lecture halls to the European Parliament and the relationships they’ve built along the way. 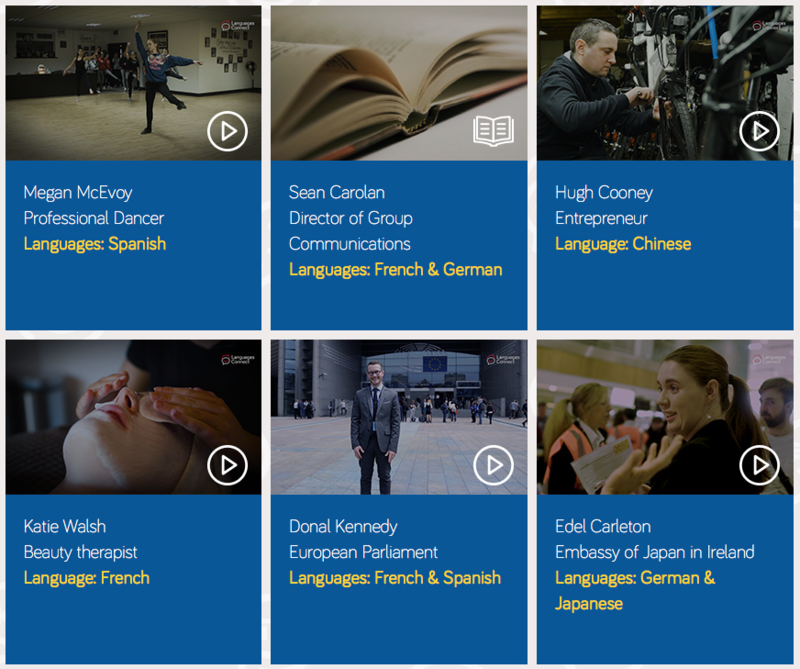 We’ve really enjoyed working with such a broad spectrum of contributors on this project and it’s great to see the finished product up on www.languagesconnect.ie now! By VideoWorks|October 26th, 2018|Uncategorized|Comments Off on How Videos and Languages Connect?